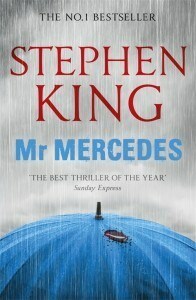 We’re delighted that Mr Mercedes has been shortlisted for the prestigious Crime Writers’ Association (CWA) Gold Dagger, awarded to the best crime novel of the year. The CWA Daggers have been synonymous with quality crime writing for over fifty years. The Gold Dagger winner will be announced in September at a ceremony in central London. Good luck!